What Do the Squirrels Know? This past weekend, I was standing in the backyard of my parents’ house, gazing up into a clear azure sky, watching two hawks wheel among the tops of the trees. The trees themselves are starting to turn, though few leaves have fallen. At the foot of the old cherry tree, the tree I used to climb as a child, the squirrels have mounded walnuts they’ve gathered from the neighbor’s yard. The large green hulls look out of place under a tree known for its delicate white blossoms in the spring. The nuts are piled up against the trunk, laid out among the lower branches, and wedged into niches further up. This is the first time my parents have seen this phenomenon in the 48 years they’ve lived in the house. What are the squirrels thinking? And how did they get the nuts, bigger than their own heads, to this tree from the neighbor’s yard? Watching the hawks, I recalled where I was a year ago. Early October 2009 marked the halfway point in my chemotherapy regimen, the switch from the Adriamycin and Cytoxan to the Taxol. I was managing pretty well, but not at all sure I’d be here now to see my children decorate the house once again for Halloween. It is said that cancer patients feel a special poignancy around the time of holidays and other life celebrations, and I can attest to the truth of that statement. I cannot put into words the tremendous relief I feel at being finished with treatment now. But I also cannot put into words the impact the diagnosis has had on my thinking. I see now that I am not invincible, but I can be resilient. The old Japanese saying is: Fall down seven times, stand up eight. Though I can’t yet pin down all the internal changes brought about by having had cancer, I can register the external differences from a year ago. 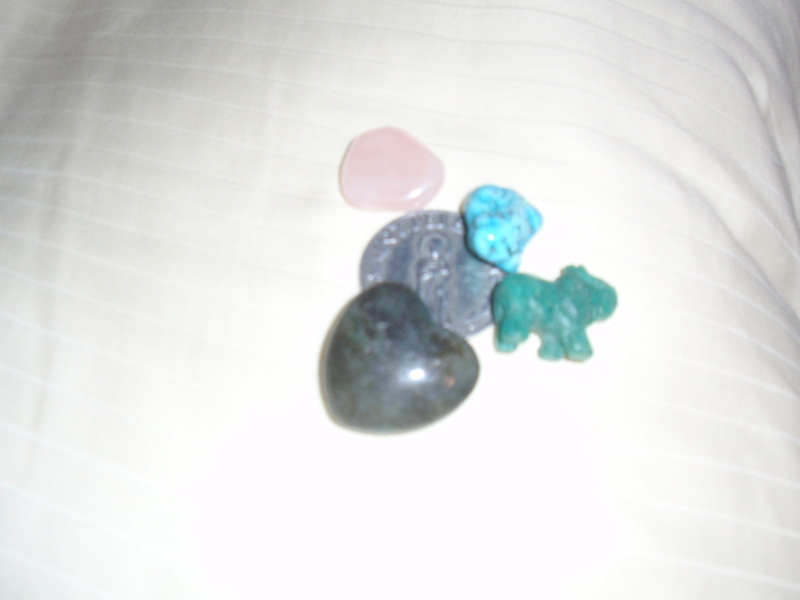 I still carry colorful rocks in my pocket and Sts. Peregrine and Anthony hang round my neck. For awhile, I was obsessed with reading the obituaries in the local paper. When it became too disturbing to see so many deaths from cancer, I quit reading. 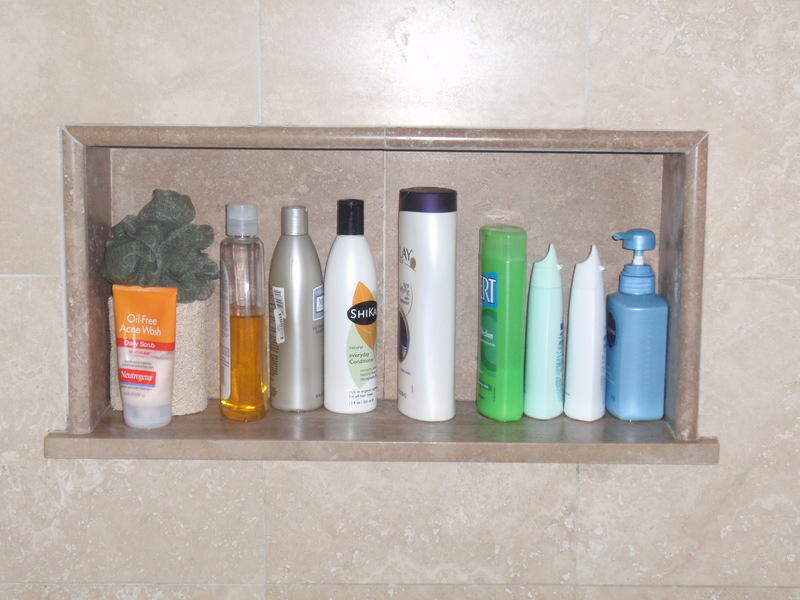 The shelf in my shower once again holds too many shampoo bottles. The scarves and hats that rested on the chest at the foot of my bed are gone. Some found their way back to the oncology center, some are tucked away in a drawer, and the regal purple one with the gold thread is now in my daughter’s closet. The mouth rinse no longer sits on the bathroom counter, and the refrigerator is empty of syringes. Best of all, I can once again race up stairs and climb the driveway to the mailbox without having to stop for breath. As I drive by the oncology center on my way to work, I look at the large tree by the windows and recall watching it lose its leaves last year as I sat inside with the chemotherapy nurses. I think about those brave people in there now, working or getting their treatment. It was a good place to be during a time of terror, but I’m glad to be on this side of those windows. I never want to go there again. 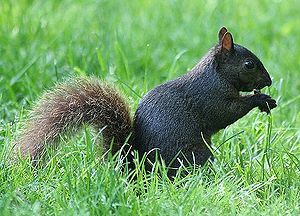 Instead I want to contemplate: What indeed do the squirrels know?